Have you ever seen an election season so dedicated to the intricacies of taxes? Mitt Romney must be glad he paid accountants to run the numbers, since just 4 years ago I seem to recall a number of issues with TurboTax. So yes, I’ve never heard this much ranting and raving about taxes, even though the last time a very rich person from Massachusetts ran for President there were many similarities. So, let’s talk a little bit about two different things – ‘Marginal’ rates and ‘Effective’ rates. So, let’s say you made $150,000 so far this year, you are married and will be filing jointly. If you earn $1 more, you will pay 28 cents to the Federal Government in taxes. So your Federal Income Tax Marginal Rate is 28%. This is actually the number people usually refer to when talking about their marginal rate – they aren’t including payroll taxes, or credit phase outs, or capital gains – just their income tax bracket. Effective tax rates are a whole other beast. So, maybe you are in the 28% Federal tax bracket… but that doesn’t mean you paid 28% of your money in taxes. You paid less – all money earned up to the threshold of a tax bracket change is taxed at the lower rates. You also received an exemption for you and your wife – and a standard deduction of $11,600. What does that mean? The first $11,600 you earned didn’t have any income tax applied. However, this analysis ignores the other major aspect of federal taxes – payroll taxes. In 2011 you paid 4.2% of your first $106,800 earned in Social Security taxes, and 1.45% of all your income in Medicare taxes. So even your first $11,600 had a bit of tax on it. So, if you earned $150,000, how much did you pay in federal taxes if you lived in a zero-tax state and took no other deductions? $31,661 – 21.1%. 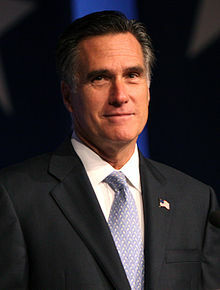 Now, the huge complaint in the media is that Mitt Romney paid an effective 13.9% tax rate in 2010, and a 14.1% in 2011. Let’s assume he comes into 2012 with roughly a 15% federal effective tax rate. What amount of earned income would result in a salaried employee (married, with no kids or deductions) paying that amount? Right around $65,500. Let’s say you’re more realistically in a house in a state with tax, and have 3 kids – so $17,500 in deductions plus the children – now you’re around $126,000. So that number – $18,863 in taxes paid at the federal level – compared with your income is your effective tax rate. And that’s really all that there is to it – you’ll find that your marginal rates are likely even lower than those I used for examples due to the effects of deductible debt, local and state taxes paid, charitable donations and tax advantaged dividends and capital gains. So, when you see the media claiming that Mitt Romney is paying less taxes than, say, people making $30,000 know you’re looking at someone who doesn’t know math (and if you still don’t believe me, note that both Mitt Romney and Barack Obama pay more in taxes than most people make in a year). Sure, Mitt and Ann Romney (and the Kerrys/Heinzes before them) are very efficient with their taxes. That doesn’t mean you should let people make ridiculous points without first considering what is being said. Do you understand the difference between marginal rates and effective rates? Can you see now how a million dollar+ earner can pay ‘so little’ in taxes? Do you use TurboTax or an Accountant for taxes, or do you do them on your own? If you’re married and make $65,500 then your tax with standard deduction would be about $6k or about 9.2% effective rate. Are you adding in the payroll tax? I am; the numbers after the Payroll Tax discussion are all ‘payroll tax added’. Very true! Thank you for pointing this out. I haven’t heard people say he’s paying less in taxes. I have heard that he’s paying at a lower rate….which is the question they’re raising: should Romney and Obama pay at a lower rate than someone struggling on $35k? You’re right: if they do say this, they don’t get it. Wow….that’d be a shock, huh? The media not understand what they’re talking about? Weird…..
50/50 here – the most common scenario is the headline says something like “Warren Buffett Pays Less Tax Than His Secretary!” and the true lede is in paragraph 12 where they first mention rate. Well, to that point you could talk about the Payroll Tax – it’s regressive since it disappears at ~$106k, and it’s well known that it is harder for people in the lower brackets to save. Thoughts on that? Ach, I get more than a little irritated when I hear people regurgitating sound-bite “facts”. 13 percent just sounds good and juicy and outrage-fueling. My least favorite stealth taxes are the excise taxes, on gas, phone bills and “sin” goods. If there’s to be an honest discussion on regressive taxes, that and the payroll taxes are good places to start. Heh, I guess your second point is where we differ. If we accept tax as necessary, I’d prefer sin taxes to the outright banning of sin products. I also prefer them to any other form of taxation – I’d rather tax consumption than, say, income. However, I don’t see too many Pigovians running for Congress, so we’ll continue down the same path – raises in regular taxes and sin taxes. I’ve got a spreadsheet on my blug where I compiled all tax brackets over the last 99 years or so and it poops out effective and marginal tax rates (payroll taxes, deductions aside). It’s adjusted for inflation, so you pop in your gross income today, filing status and it poops out your marginal and effective tax rate across the years. It is interesting, many people don’t really care, but I think it is important in forecasting future tax rates (if one is able to do so). shameless plug aside, I think the rate is one thing, but so is the absolute value. Perhaps Mitt’s rate is 13-15%, but he probably pays more in one year than the avg person will amass in wealth over their entire life. People also don’t understand the relationship between LTCG/Dividends tax and how it will affect them. psst…all the bluggers who talk about rental properties as the path to the promised land will take a bath at every sale. Haha at ‘shameless’ – I appreciate the work. I’ll be sure to link to you because it’s an interesting point. This one I presume? Let’s just say, based on your tool, I’m glad I wasn’t around in the last 40s. I didn’t see it in your post, but are you including Payroll Taxes? No on the payroll taxes. If you wanted to add that, you can email me and I can send over an unprotected sheet. I could really care less about the credit at this point in my life.